The Aguilar Octamizer Analogue Octave Bass Guitar Effects Pedal creates a note a full octave below the one being played, resulting in a much deeper and organic sounding tone. 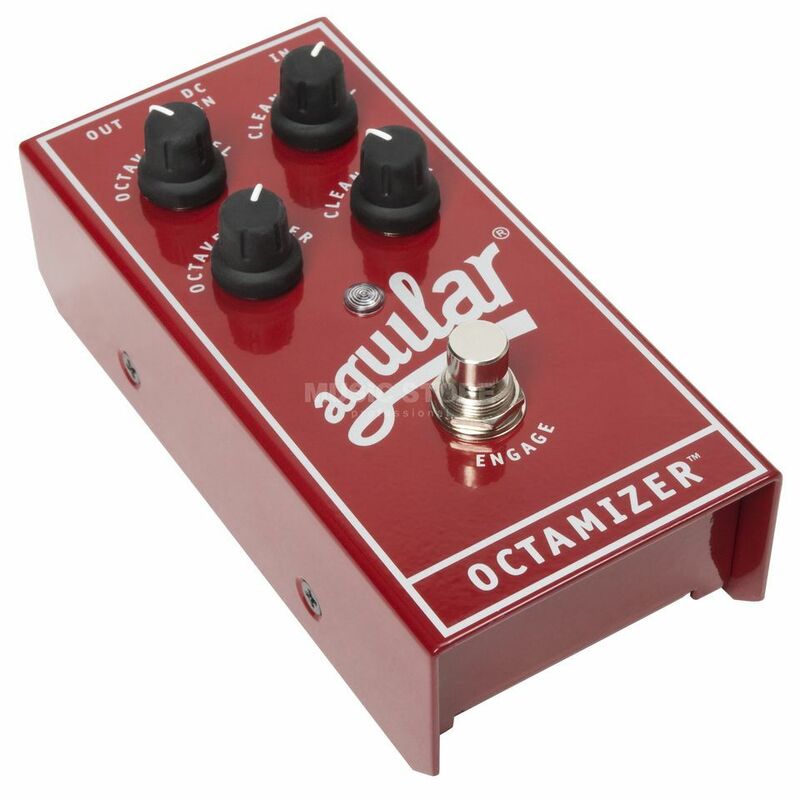 The Aguilar Octamizer pedal features fully independent controls for both the original clean note and the octave effect that massively open up the tonal possibilities of the pedal. Both signal paths feature their own volume and tone controls, making dialling in the exact level and tone of each required incredibly easy. The clean tone control on the Aguilar Octamizer octave pedal utilises a Full Spectrum Tilt EQ that boosts treble frequencies while cutting the bass or boosts the bass while cutting treble. This allows for a clean sound with an octave doubling effect or a blended synth-style tone to be easily created. The octave tone control takes the form of a multi-pole low-pass filter that allows for any tone from smooth and deep to aggressive and edgy to be easily created.